Laugh. Give. Save a kid. Through the power of entertainment, we raise awareness and money to help kids who need us most at home and around the world. 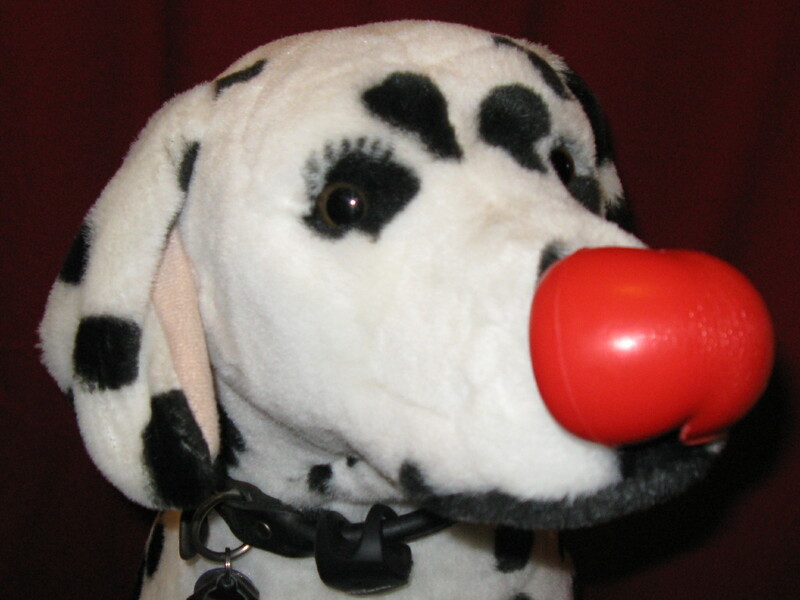 Red Nose Day is on a mission to lift kids out of poverty and has raised over $1 billion globally in the last 25 years. Miss CookiesNCream will always be my heart dog. until she departed this world. from her being in my life for thirteen years. For that, I will be forever grateful. who captured your heart the way she did for me? Woofs and Tail Wags! We’re posting this in support of the Rescue Dogs the Movie’s mission. Disclaimer: I am not monetarily compensated for sharing their information. Many readers and subscribers may remember that the original intention of this blog was to celebrate the spottyed snugglers in my life. They all came to me under different circumstances: Miss Cookies arrived here as my 1996 Valentine’s Day present as a 12 week old puppy, The Bandit was my first and only ‘foster fail’ in 2000 and La Petite Grande Dame Cherie came here 2008 to fill the empty void after Cookies and Bandit went OTRB. I have learned so many different things from each and every one of them. I am forever grateful that they were part of my life. This month is earmarked as Adopt A Shelter Pet so I hope that this post will inspire people to consider adopting their new furry family member! Do you and your dog want to be in a movie? RESCUE DOGS the movie will bound into theaters in Spring 2016, and your pup could be on the big screen! RESCUE DOGS is a first-of-its-kind family feature film that actually stars real rescue dogs (and rescue cat and rescue hamster) as the lead animal characters! Not only will the movie be in theaters entertaining kids and parents alike, but RESCUE DOGS is also looking to benefit animal rescues across the nation by partnering with them around the opening weekend of the film! Animal rescues that partner with the film will be holding live adoption events at theaters during the opening weekend, looking to raise money, awareness, and actually adopt out a large number of rescue dogs! The production company behind the picture is Busted Buggy Entertainment. As part of their outreach to raise awareness on the film and for their charity partners, the producers are running a campaign that allows you to submit a picture of you and your rescue animal for a chance to appear in the end credits of the film! The #MyRescueDogStory campaign is happening now, and is a fun opportunity to see you and your pet on the big screen, and to be a part of a meaningful film that will make a difference. It’s really easy to enter. First, go to www.RescueDogsMovie.com and submit your picture along with a short story about how you rescued your animal or they rescued you! Then, you can share your picture, story, and the #MyRescueDogStory campaign on your Facebook, Twitter or other social media sites! RESCUE DOGS is the story of Tracy and his rescue dog Charger who have to foil the plans of an Evil Businessman who wants to knock over their beach restaurant in order to build his golf course. With help from his brother, Tracy tries to meet the bills, manage the kitchen (where Charger helps cook!) and still find time to fall in love with the beautiful dancer, Bridget. Through a comedy of errors and mishaps, the humans find they themselves can be rescued by their very own rescue animals. Busted Buggy Entertainment is a film and television production company founded by actress, Courtney Daniels. RESCUE DOGS is the 3rd feature film BBE has produced and is especially close to Courtney’s heart as she is the proud parent of 7 rescue animals! You can follow Busted Buggy Entertainment and Courtney Daniels on both Facebook and Twitter to keep up with all the RESCUE DOGS happenings as well as info on all their other projects. on a regular basis after my DH passed away as he knew it always cheered me up! He taught me to appreciate the moment as you may never have that chance again. Miss CookiesNCream sure made an impact on my life. She was my first dog, who was a major influence of who I am today. I’m not sure if she was the happier of the two. Have you had a dog who’s affected you in this way? The Bandit and Miss CookiesNCream. They were waiting at the top of the stairs for our special twice daily time together. This was taken in 2003, while I was in the process of adjusting to life as a widow. This beautiful quote sums up how I cherish that friendship between us. Hope you’ll hug your friend for me and my Spottyed Angels. I hope you’ll agree that looking at all of these happy faces here will never be stale to look at. Spottyed Snuggles for Wordless Wednesday! we came from the two poles of creation…. that has sprung up in your heart? My first dog, who taught me so much in the short time we had together. She came into my life February 1996 and went to the Rainbow Bridge September 2008.
patience with my shortcomings of understanding canine behavior and dynamics. For all the life lessons I learned being with her, I am and will be forever grateful. I am most humbled that all three gave their hearts to me in their own special way. I’m to understand that this month’s Blog Paws theme is about Spoiling Our Pets. 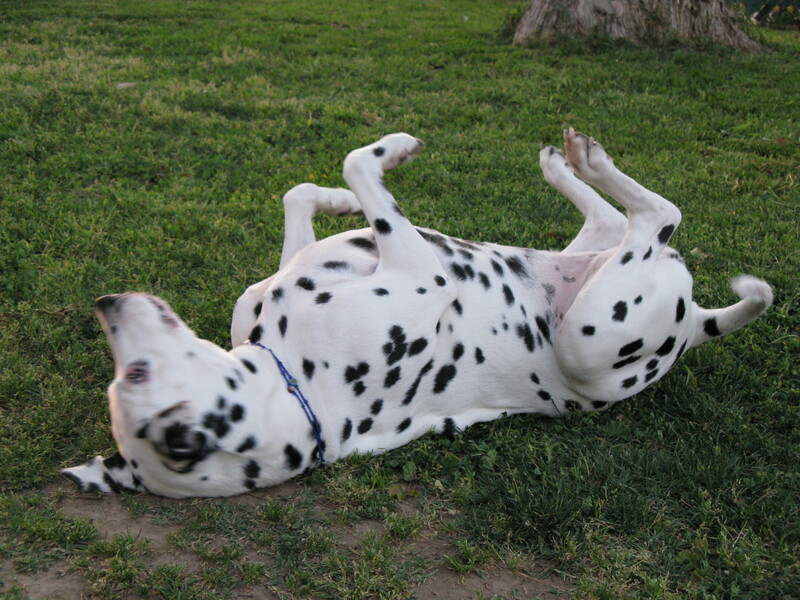 were referred to as my Spoiled Spotts. As you can see by these images, they lived up to that name. Woofs and Spottyed Snuggles for Wordless Wednesday! Disney animated classic “101 Dalmatians”! I fell in love with this breed as a child. I was an avid reader, read all the library books twice, sometimes for a third time, before they were due back. It gotten to the point of my being limited to check out the same number of books to how old I was. I was quite the happy camper to be selecting books from the Young Adult section in the main room rather than from the Children’s room. My siblings did not appreciate my appetite for the written word, as they sometimes didn’t read all the books they checked out within the given time. In 1995, Nicholas (my now late partner) mentioned there was a live 101 Dalmatian movie to be released the following year. I think he may have noticed how my face lit up when I described how I loved reading Dodie Smith’s book when I was a ‘tweener. In late February 1996, I was in bed with the flu when he said he had a surprise for me and wanted to see if I was awake for it. I waved at him but really wanted more sleep. He said he’d have to get this surprise out of the car. That’s when I jumped out of bed, ran down the stairs and met Nicholas coming in the door from the garage holding a puppy! My very first dog!!! We named her CookiesNCream as her markings resembled Nicholas’s favorite ice cream flavor at that time. The ‘Miss’ part came later when she decided to be a lady. 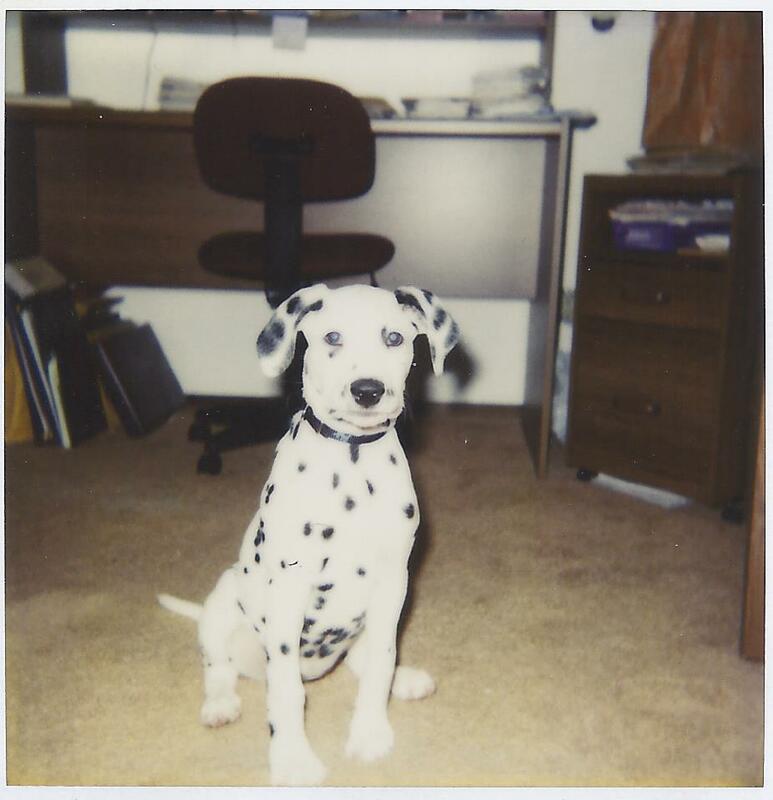 I owe so much to this little spotted lady. She inspired me on so many levels. For all that she has taught me, I am forever grateful. p.s. I was not compensated for mentioning the upcoming Blu-Ray & Digital HD release of Disney’s animated movie ‘101 Dalmatians’.